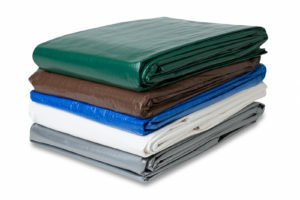 Our 16oz colored canvas tarps are highly durable and built to last. 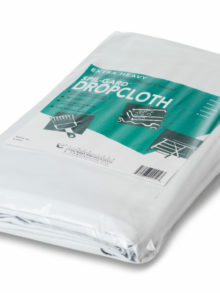 These tarps are perfect for industrial and commercial uses due to their ability to withstand a variety of weather conditions. Constructed of 100% cotton, our 16oz canvas tarps are treated with oil and wax making them water-repellent and mildew-resistant. They also feature grommets on all four sides allowing them to be easily secured around cargo, equipment, and other industrial objects. At Chicago Canvas and Supply we understand that some projects require more than one tarp which is why we now offer our 16oz colored canvas tarps in 4, 6, and 12 packs for your convenience. Choose from a variety of color options and cut sizes. 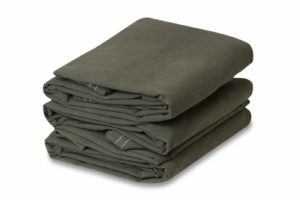 Looking for single canvas tarps? 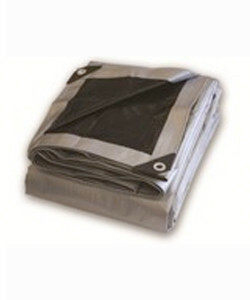 We also carry 16oz canvas tarps and tarps by the yard. Note: Please remember when ordering, all sizes are cut sizes and may finish smaller due to seams and hems. Please Note: because our canvas tarps are treated with oil and wax, they are not recommended for covering cars/boats, or as canopies and other outdoor shelters. Incorrect use of this fabric isn’t covered under our return policy.